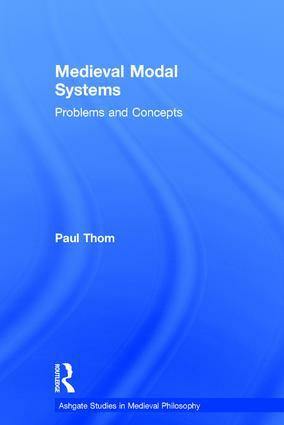 This book explores noteworthy approaches to modal syllogistic adopted by medieval logicians including Abélard, Albert the Great, Avicenna, AverrÃ¶es, Jean Buridan, Richard Campsall, Robert Kilwardby, and William of Ockham. The book situates these approaches in relation to Aristotle's discussion in the Prior and Posterior Analytics, and other parts of the Organon, but also in relation to the thought of Alexander of Aphrodisias and Boethius on the one hand, and to modern interpretations of the modal syllogistic on the other. Problems explored include: Aristotle's doctrine of modal conversion, the pure and mixed necessity-moods, modal ecthesis, the pure and mixed contingency-moods, and Aristotle's use of counter-examples. Medieval logicians brought various concepts to bear on these problems, including the distinction between per se and per accidens terms, the notion of essential predication, the distinction between ut nunc and simpliciter propositions, the distinction between de dicto and de re modals, and the notion of ampliation. All these are examined in this book. Contents: Preface; Aristotle's modal logic; Late antiquity; Abélard; Avicenna; AverrÃ¶es; Kilwardby; Campsall; Ockham; Buridan; Conclusion; Bibliography; Index.